Will August 12, 2018 be your first time at the Rock River Anything that Floats Race? Have you been to the race before, but wish you knew more about the event? 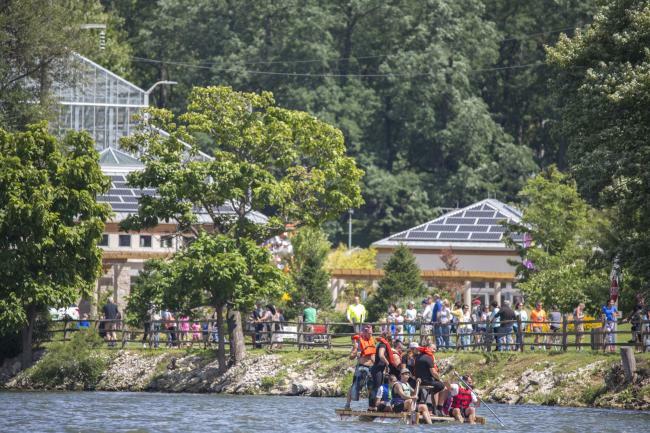 Whether you have prepared a raft to race or plan to watch from the sidelines, we have a couple tips and tricks to ensure you and your family and friends have an excellent day at the Rock River Anything that Floats Race. Check in your raft and crew members early to have plenty of time to get the raft on the water. Beat the line by getting there right at 10:00 a.m. when sign-in begins. Race registration will close at 11:30 a.m. Create a team chant or victory cheer while you wait for the race to begin at noon. If the first time your raft touches the water is on race day, you may be in for a rude awakening when it doesn’t float. We recommend testing the buoyancy of your raft before August 12. We want everyone to have a safe ride from the Auburn Street Bridge to Prairie Street Brewhouse with their rafts intact. Circumstances could take a turn for the worse in a split second. Always wear your life vest to ensure your safety and the safety of others. Rescue boats will be circling the race course as rafts are floating down the river. If you see someone else in trouble, lend a hand as long as you do not put yourself or others at risk. If your raft takes on water and begins to sink, head to the nearest shore and beach your raft. Make sure your raft is the fastest by organizing your crew to row at the same time to guarantee maximum speed. Play a song to keep your crew on tempo or assign a crew member to command the raft. 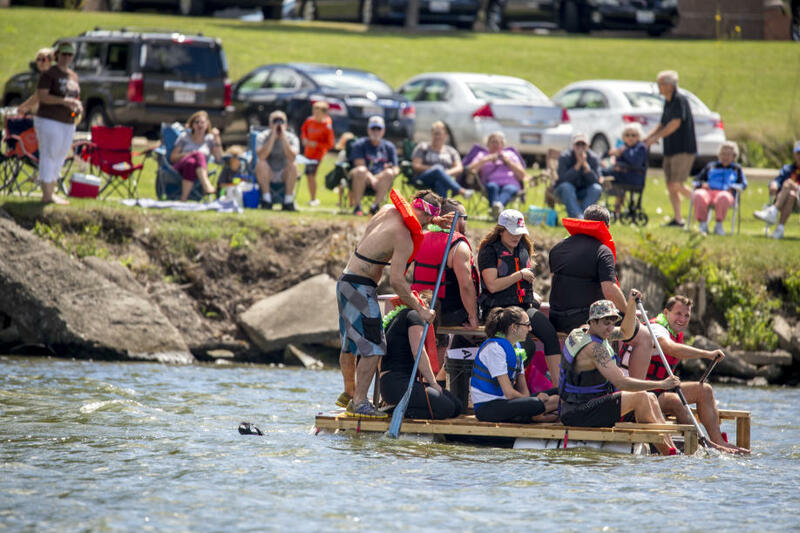 The Rock River Anything that Floats Race is meant to be silly and fun! 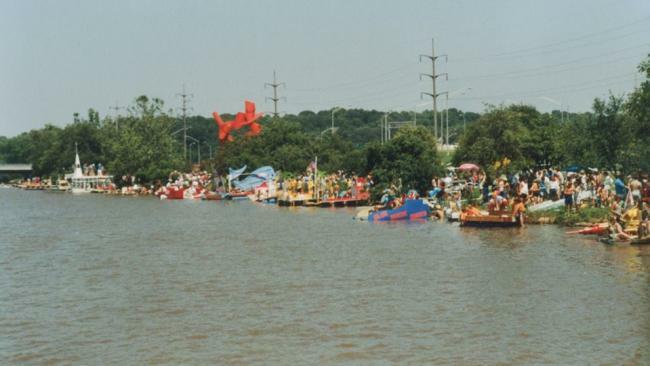 Bringing back this tradition was intended to bring smiles to Rockford area residents and give people a reason to bring their friends and family to enjoy the banks of the Rock River. Soak in the sun during your time out on the water and keep the party going by joining the post-race festivities at Prairie Street Brewhouse. Binoculars, sunscreen, bug spray, snacks, lawn chairs, water and cameras are all excellent items to bring along for the day. Kids and pets are more than welcome to watch this family friendly summertime tradition - just keep the pets on a leash. Knowing where to park can be tricky. We suggest bringing your car to one of these locations to acquire premier parking spots for the day: South of the Auburn Street Bridge off North Second Street, Nicholas Conservatory and Gardens or Prairie Street Brewhouse. 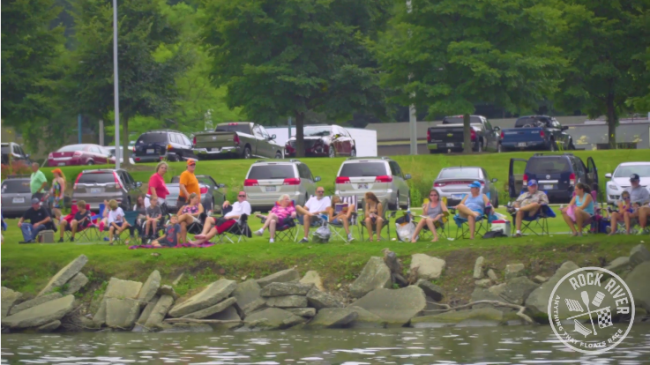 Get to the river early to claim your spot along the raceway. 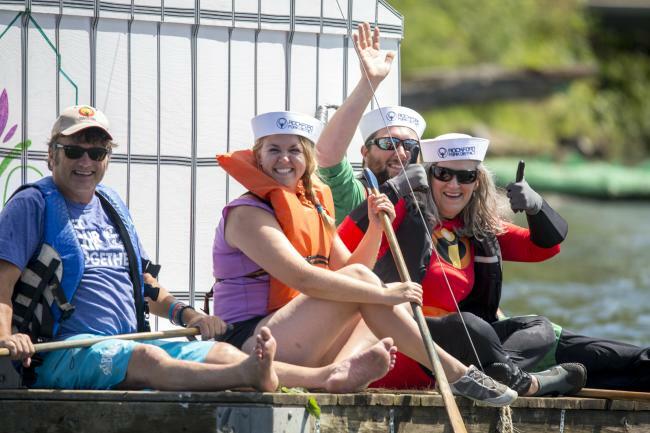 The best place to watch the entire race is in your own boat traveling alongside the competitors, but the many vantage points along the Rock River are great places to watch the rafts pass by. The race will begin at 12:00 p.m., but the live music, entertainment, food and drinks open at 10:00 a.m. Give yourself plenty of time to visit these vendors before settling down on the waterfront. There will be festivities going on throughout the day including the after party at Prairie Street Brewhouse. With an awards ceremony, music, food, and drinks, it is sure to be a fun evening for racers and spectators alike! You can participate in competitions without making a raft. Just buy a duck! Ducks are sold on RRATFR day, or ahead of time from City Market at the B-103 Radio Station booth, Prairie Street Brewhouse, BMO Harris Bank Center Box Office, the Rockford Area Convention and Visitors Bureau office and all Rock Valley Credit Union locations. Ducks are $5 each or you can buy five ducks for $20. Rubber ducks will be dropped into the Rock River by the Whitman Street Bridge at 3:00 p.m. on August 12. The first 20 ducks to cross the finish line win their owner a prize! Follow these tips and you will have a successful Rock River Anything that Floats Race day. We are looking forward to seeing you with your friends and family at the river on August 12th!